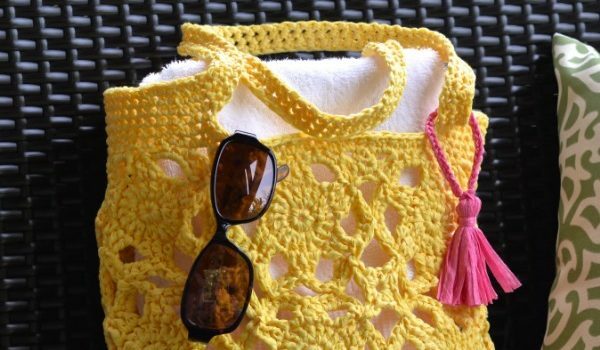 Perfect for the beach, pool or even just everyday use, this crochet tote bag is perfect for carrying all of your warm-weather essentials. 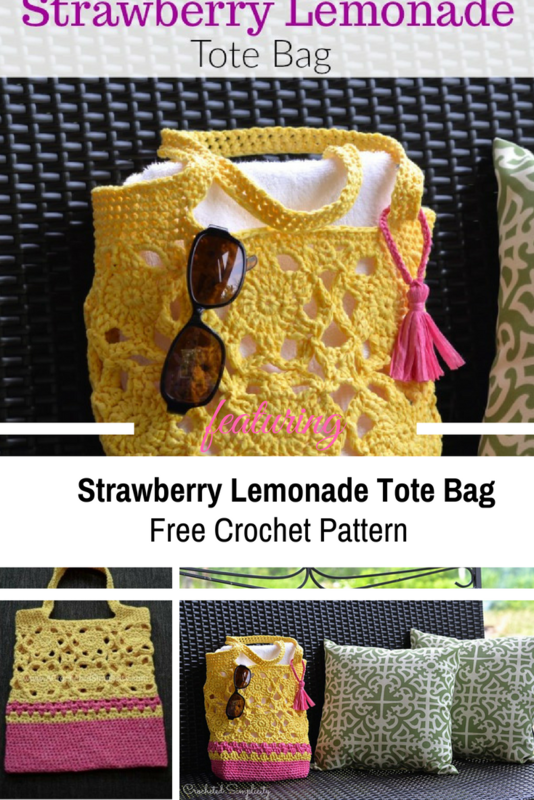 Strawberry Lemonade Tote Bag Free Crochet Pattern by Jennifer Pionk is a very pretty floral tote bag you’ll be happy to carry around all summer! Yarn Notes & Substitutions: Lion Brand Rewind tape yarn was used for the sample in the pattern. Although it is classified as a 5/bulky yarn because it is a tape yarn, it works up more similarly to a lighter worsted/4. So keep that in mind if you’re looking for substitutions. Testers had great luck using worsted weight/4 cotton yarns such as Lion Brand Yarns 24/7 cotton and acrylic yarns such as Lion Brand Vanna’s Choice. Check out the original source for this Strawberry Lemonade Tote Bag Free Crochet Pattern with all the directions and full written pattern at: A Crocheted Simplicity. Thanks to Jennifer Pionk for the article inspiration and featured image.